To help you look at Breakfast differently, Publix has the following sales on Yoplait Greek Yogurt and Big G Cereals. Get extra savings on breakfast with printable coupons at everydaysaver.com/publix Remember, Publix has a great coupon policy, so you can stack these with the great sales...even the BOGO! 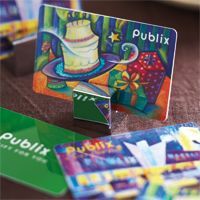 1 reader will win a $25 Publix gift card. Enter to win the Publix gift card in the rafflecopter form below. disclosure: General Mills has provided product and information for this post through MyBlogSpark. All opinions expressed are my own. Vanilla yogurt and chocolate cheerios! Greek blueberry yogurt and honey nut Cheerios. I'd love to try vanilla Yoplait Greek yogurt and Chocolate Cheerios! I think the Yoplait Greek Blended Coconut + Banana Nut Cheerios would be the best flavors! The blueberry and frosted or even the strawberry ones sounds YUMMY! I think the blueberry yogurt mixed with the frosted ones or even strawberry Cheerios sounds YUMMY!! The Yoplait Greek Blended Pineapple and Fruity Cheerios sounds delicious. I would like Honey Nut Cheerios & cherry yogurt! I'd like Honey Nut Cheerios and peach yogurt. Honey Nut Cheerios and Strawberry yogurt sound like a good combination! Thanks for the giveaway! Honey Nut Cheerios and Vanilla Yogurt. I would like vanilla yopliat greek yogurt and apple cinnamon cheerios. I think Strawberry and Honey Nut Cheerios!